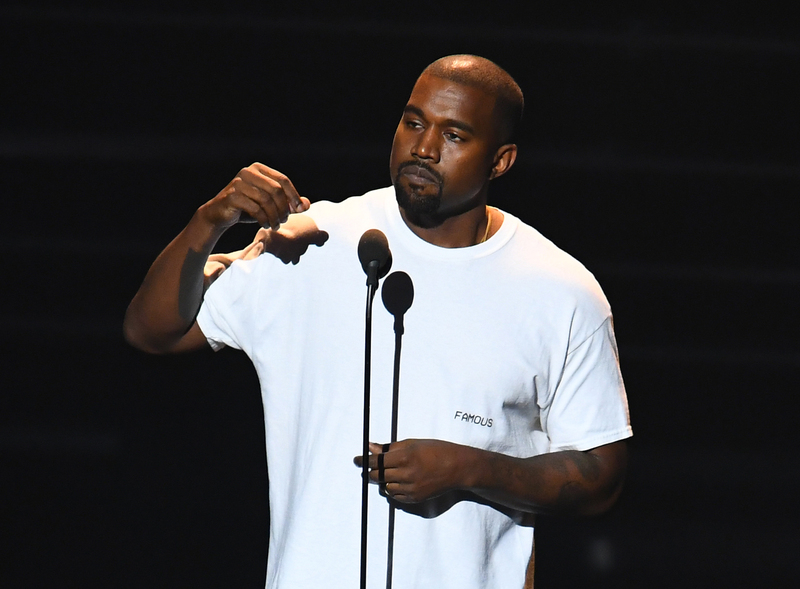 On November 21, Kanye West's personal physician, Dr. Michael Farzam, placed a call to 911. Shortly after, the Kanye was was taken to the UCLA Medical Center. He was hospitalized for a little over a week until he was released on November 30. On Thursday — nine days after the initial phone conversation — excerpts of West's 911 call have been released via TMZ. According to the site, during the call, Farzam tells dispatch to send both medical assistance and police to the rapper's home, and seems to be generally concerned for the welfare of his patient. But if you care at all about respecting West's privacy and mental health during this time, you'll courteously opt out of listening to the leaked audio. There are no new insights to glean from the discussion between Farzam and the dispatch. It's just what should have been a confidential conversation about West's health. In fact, according to the LA Times, some of the call was "redacted in order to prevent the disclosure of confidential health information." So, that should tell you something about how appropriate it is to be listening to it. The decision to hospitalize West sounds like it was predicated on the premise of his own health and well-being, not his danger to others. The morning of his hospitalization, it was announced that the remaining dates on his Saint Pablo tour would be canceled. Obviously, he's going through something right now. But it's personal. Following the stress of his wife's robbery and the demands of touring, it sounds like the rapper needed some time to recoup. Like any other citizen, he should be granted that right. He should also be granted a fair amount of privacy and graciousness. Just because he's famous doesn't mean we have the right to know everything about him. Let's keep this between West and his doctors. No matter what you think of West, or how interesting you find his diatribes or relation to the Kardashian family, the public doesn't have a monopoly on his life. He's chosen to put it out there for our consumption — with his music or with his relationship with Kardashian — but he has never given us the right to listen to a call that his personal doctor made. Let's not forget that West is a human being too. He's famous and rich and talented, but he also endures stress and break downs and exhaustion just like anyone else. The only difference is that he endures them with the world watching (and, in this case, listening). Everyone deserves to have their mental health treated with care. It's a sensitive and personal subject matter, and it should be dealt with as such. So, don't listen to the call. Instead, hope that West has a speedy — and private — recovery.